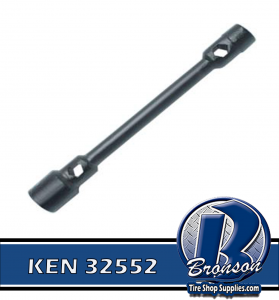 KT32552 Features: -Truck wrench. -Use on trucks, buses, farm, and off-road vehicles. -Great for on-the-road service. -Sizes for all SAE and metric lug nuts. Quantity: -Single. Measurement Type: -Metric. Product Type: -Wrenches. Generic Specifications: -Use TR5 truck wrench handle. Generic Dimensions: -Length: 16''. Dimensions: Overall Product Weight: -4.5 Pounds.